The Japan Times, Ltd. (Chiyoda-ku, Tokyo. 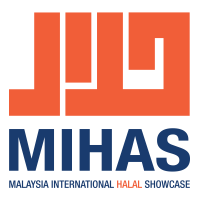 Representative: Takeharu Tsutsumi) will participate as a media partner at the 16th Malaysia International Halal Showcase (MIHAS), the world’s largest halal-focused trade show. The trade show is planned to be held in Malaysia from April 3 to 6, organized by the Malaysia External Trade Development Corporation (MATRADE) and hosted by the Ministry of International Trade and Industry of Malaysia (MITI). Through this strategic media partnership, the organizer aims to further promote the MIHAS event in the Japanese market and to The Japan Times readers, which consists of high-level management, businesspeople in and outside Japan and senior government officials. The Japan Times will also leverage on MIHAS’ strength as the halal trade event attracts visitors around the world, mainly businesspeople. It was reported that almost 21,000 visitors from 72 countries visited the 2018 show and the organizer is expecting more visitors for the exhibition this year. We will promote The Japan Times as the go-to source for the latest news and analysis on current events in Japan and the world to the attendees and exhibitors of MIHAS. MIHAS is an annual 4-day halal trade exhibition held in Kuala Lumpur, Malaysia. The exhibition is hosted by MITI Malaysia and is organized by MATRADE.